WCPE Episode 224 – Remembering Norm Breyfogle – WORST. COMIC. PODCAST. EVER! Another Friday means another episode of the Worst. Comic. Podcast. EVER! – the longest-running lowest-rated show in our market. It really means a lot to the guys to have YOU coming back each week, so thank you! Unfortunately, we start out our show on a somber note, as we learned of the passing of artist Norm Breyfogle shortly before recording. Breyfogle was the premiere Batman artist throughout the late 1980s and early 1990s. His distinct look of the Dark Knight is remembered fondly by his fans, which included us. 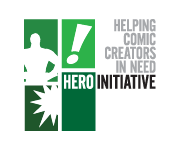 His death reminds us to once again promote the Hero Initiative, which helped provide Breyfogle some assistance over the last two years. As always, we have our weekly Pick 3 for books coming out next Wednesday. We also go over some recent purchases and reads from our comic stacks. Finally, we dive into the ugly topic of #Comicsgate. Maybe you are aware, or maybe you are just finding out about this for the first time. We welcome your feedback on our discussion. If you are in the Springfield, Missouri, area this weekend, come see John and Jerry at Cave Con. We will be set up at Booth J in Artist Alley, and we look forward to saying Hi, giving hugs, and having fun with our tribe. ‹ Marvel Saga Episode 14 – Confrontations!